It is Lymphoedema Awareness Week in the Uk and to help raise awareness and money the Lymphoedema Support Network (LSN) decided on a campaign called ‘Sock it to Lymphoedema’. The idea is to get friends and family to show their support by wearing odd socks or gloves for a day and making a donation to the LSN. If they are asked why they have odd socks on then they could say ‘I am CHOOSING to wear different socks/gloves today- people with lymphoedema don’t have that choice’. To donate text LSNS14 together with how much you wish to donate to 70070. 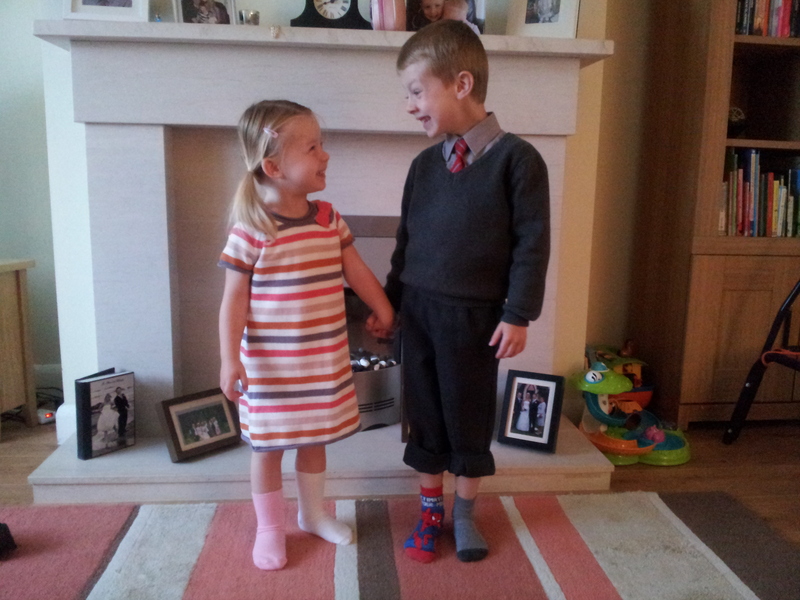 Here are Max and Lucia in their odd socks! Lucia never wears socks as she is always in her compression tights, plus it is extremely difficult to find socks she can wear even for a short time as the elastic is too tight and leaves marks around her legs. So she was really excited to be wearing socks and didn’t want to take them off! Max thought it was hilarious! Always good to have a wee bit of fun while raising money for a good cause. 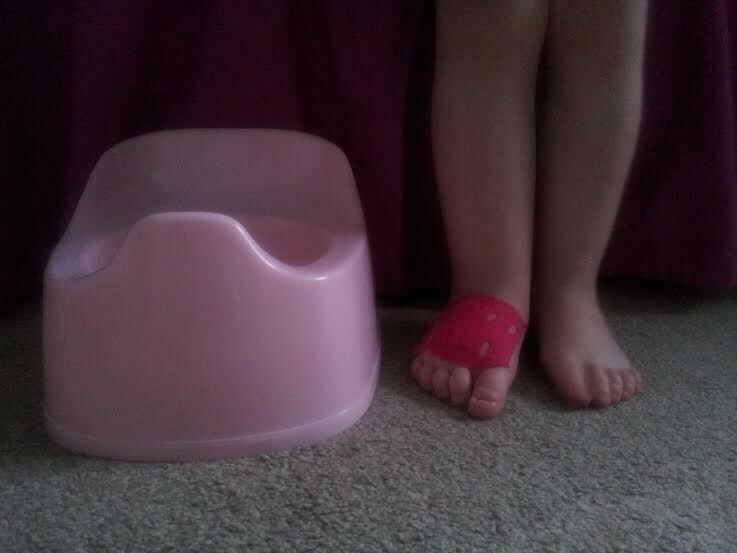 Well the potty training has been abandonned (days ago but am only getting time to update now). 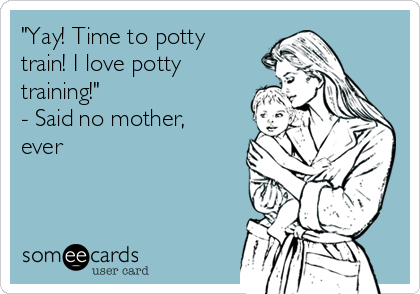 On the second day Lucia hated it even more and was getting really distressed and panicking about even sitting on the potty never mind actually doing anything in it. She ended up holding on for hours as she was too scared to let it go. So I thought the best thing was just to forget it for the time being and try again in a few weeks. We’re not even talking about it in the hope that we haven’t given her a negative impression. On the plus side though Lucia coped really well without her compression for that day and a half. However, the wee pet was so traumatised by the whole thing that she didn’t even get to enjoy having her legs out of her garments. The tape on her foot helped to keep the swelling at bay, her leg was in great shape and the experience has definitely given me more confidence for the next time that she (and I!) will be able to cope ok.
Plus it is nice that my baby isn’t quite ready to be a big girl just yet.